The value of pipe #374 is n/a points. 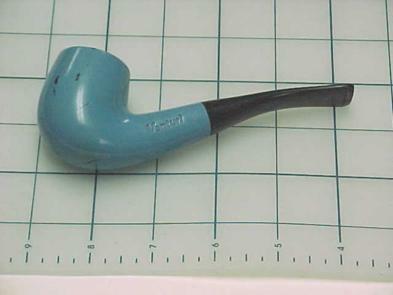 Curt Bork offered this pipe on eBay. He described it as "baby blue" so I took a chance that it was a new color and bid. I won the pipe but was disappointed to find that it was the normal blue. So it goes to the Pipes for Sale page. James Owens decided to get it five weeks later.